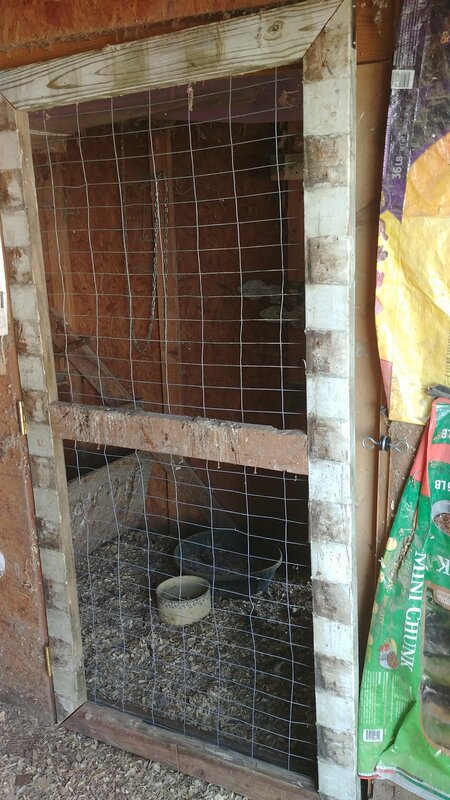 Our chicken coop is separated into two sections. This is because we can quarantine new hens when we buy them until we are sure they aren’t sick (when I remember and don’t cost us $128 for a $15 rooster – more on that tomorrow! 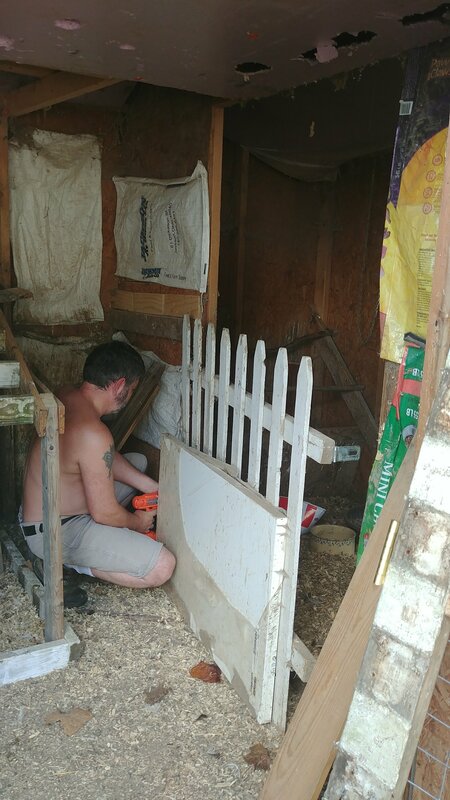 ), and when we raise our little chicks, we can move them onto the small side of the coop with the enclosed run to allow the bigger hens to get used to them but still keep the little ones safe from all the pecking the older ones do to establish pecking order (it’s a real thing!). For a long while, the door separating the two sides was actually just a piece of picket fence with a desk top screwed across the top of it. It served a purpose for a good long while, but a few months ago the big hens figured out how to go over the top of it from their roost. I added a garbage bag to act as a curtain to somewhat deter them from doing it, but it wasn’t working by the end of this summer. 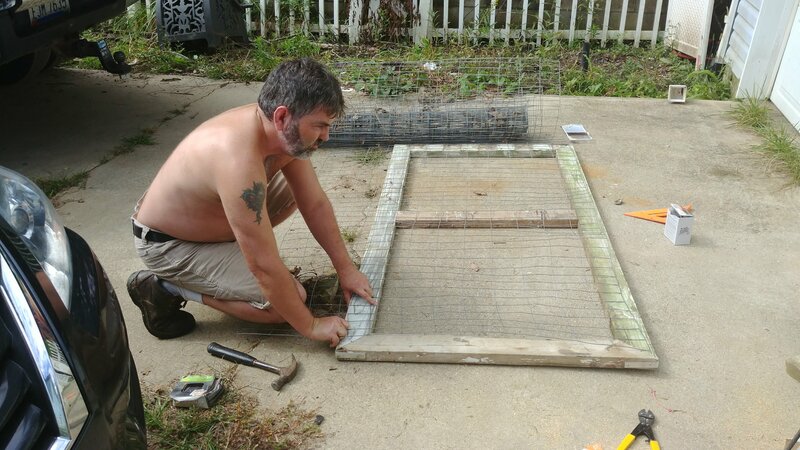 Ted decided to build a screen door himself. He’s getting quite handy around the farm! Hanging the door was harder than making it because I don’t think there is one level thing anywhere on this farm. LOL That chicken coop was no exception. The bottom of the door frame was 3 feet wide and the top of the door frame was 3 feet 2 inches wide and scaled up hill to the right. LOL He made it work. After he got the door hung and put a kickboard in place to keep the wood chips from jamming it from opening, I came inside to the little kitchen junk drawer and found a hook closure to keep the whole thing shut tight. It’s perfect! The only thing left to do is add a little chicken wire or some hardware cloth across the bottom half of the door next spring when we hatch chicks again!